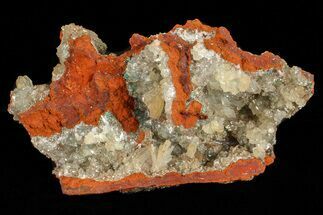 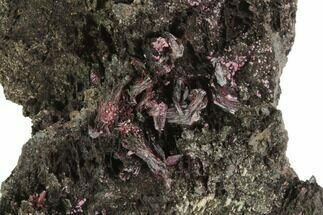 This colorful specimen contains blue-green colored rosasite crystals on a bed of dark reddish brown ferroan dolomite. 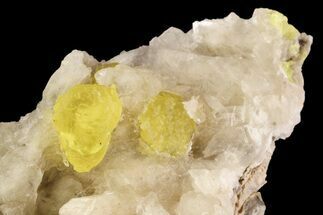 Small translucent selenite crystals can be found atop the dolomite as well as enshrouding the rosasite crystal formations. 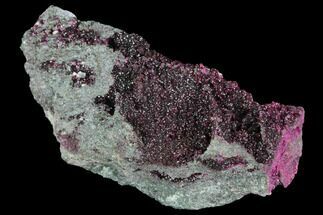 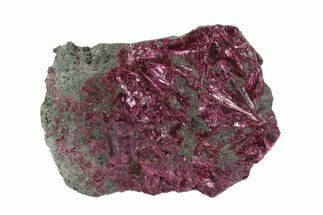 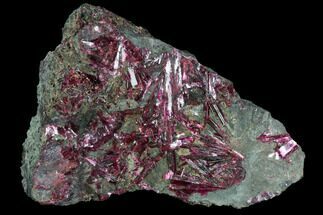 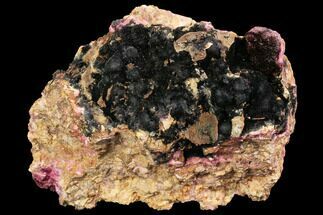 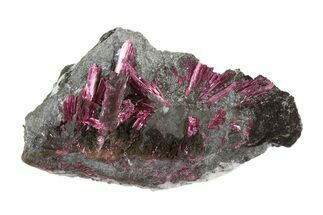 Rosasite is a secondary mineral that forms in oxidation zones of copper-zinc deposits, generally forming a fibrous botryoidal sphere that can appear vitreous and silky. 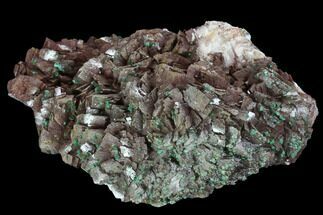 While typically featuring a blue-green color, colorless specimens are not unheard of. 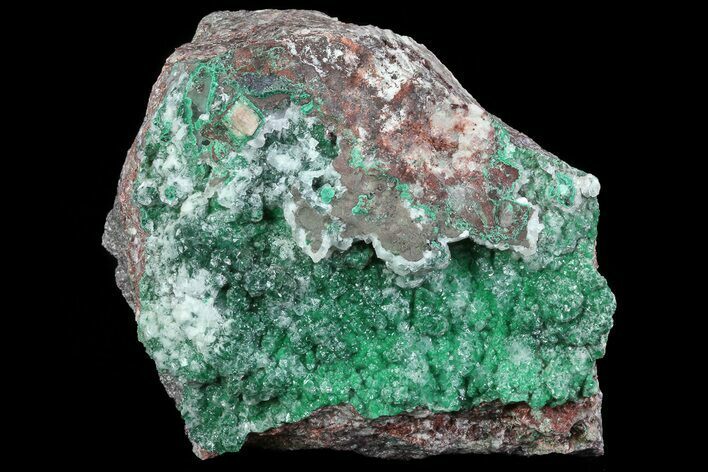 The chemical formula of rosasite is CuZnCO3(OH)2.